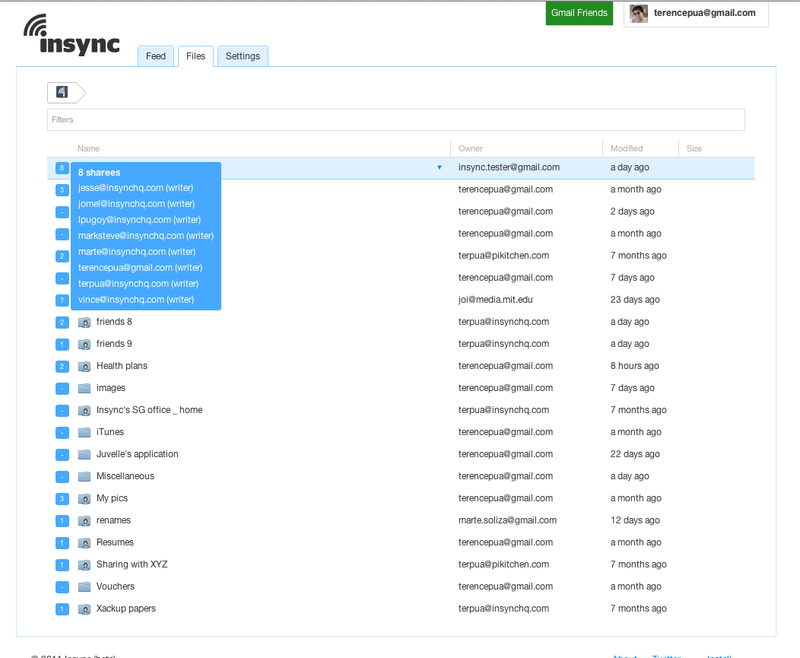 If you’re the kind of person who uses Google Docs and Dropbox a lot, perhaps for business, as is becoming increasingly popular, then you will be interested to hear that Asian firm Insync has just announced that its cloud-based sharing platform is available for free. The service provides cloud-based storage for files but it specialises in Google Docs, allows users to easily sync, update and share documents between others. Its user interface is a neat alternative to Google’s own interface which turns your virtual docs into ‘physical’ files that are housed on your PC or Mac, making them infinitely more accessible and easier to view than through the standard Web interface. Shortly after loading, it will request access to your Google account, from which it creates a new ‘Dropbox’ folder which contains physical copies of all the files on your Google Docs account. The rest is easy, as Insync updates your Google Docs account with any changes you make to the files on your PC or Mac. That’s not all, you are notified of all changes made to documents, which is a neat way of allowing teams to access and edit content. It isn’t just Google Docs that can be synced; PDFs, MP3 and almost any other file type can be shared through the service, it just happens that its Docs support is particularly strong. Files can be viewed from the Web-based app, which is also being enhanced too. The company is working on a “facelift”, which will see it introduce a Facebook-style streamline which will have updates for all docs and changes. There will also be a new filtering feature allowing users to search for items based on tags. The Singapore based company, which has also has an office in Manila in the Philippines, proudly states that it is eight times cheaper than Dropbox on its website, which, by the way, is worth refreshing a couple of times for some funny one liners. The company is “going all guns” against its established cloud storage rivals, as co-founder and CEO Terence Pua explained to The Next Web. Paying users will receive an email in a week or two giving them the option of a refund or Insync credit. By going free, all of our users will now have access to cheap Google storage coupled with Dropbox-like functionality and we think that’s a good thing. However, it seems that many users are shunning the opportunity of reimbursement, preferring instead to contribute to the Insync “beer fund”. No doubt, free is the kind of price we’re always happy to pay, but how is this cost stripping being made possible? In the future, we believe that storage will be commoditized — it hasn’t yet to some degree that’s why Dropbox is so pricey — but with the release of Insync (i.e. “GDrive”) coupled with Google’s cheap storage, it will pretty soon. So we believe that money will be made in value-added premium features, not sync/storage limits. Everyone is stuck on the “more GBs as 100% of the value” model. We want to change that. It should be about personalized features you want. Pua explains that premium features might include a secure remote wipe of local Google Docs, nested selective syncing, business controls on what filetypes can be synced, and more. [This move] opens the market to a bigger user base, especially students and educators that rely heavily on Google Docs and need Insync’s functionality. As part of going free, we will be revamping our sign up process, it’s all going away. All you will need is your Google account to sign up or sign in. Existing users will be transitioned, and we’ll more details of that soon. Mobile support will be added in the new year, as the company is developing apps for the iPhone and Android, while a Linux-supported version will be expand its PC compatibility beyond Windows and Mac. We can’t beat Google’s storage prices so we don’t see the point of selling our own storage. Google Docs has often been bandied as having much potential in the business world and, though there are undoubted challenges for multinational firms, solutions like Insync are a step towards making the service more readily available and useful. Pua admits that the company has “a bunch” of business users already but they already working on new features that will make the platform more robust for corporate users. Competition is intense in the document sharing space, there are any number of firm vying for attention and a healthy selection of Google Doc specialists. Google itself looks like it will introduce a service at some point, competing with many of the third parties that jostle for attention and the chance to offer an improved user experience. That said, Insync is a worthy addition to the market. If you use Google Docs a lot, we’d certainly recommend you take it for a ride, it is free now, after all.